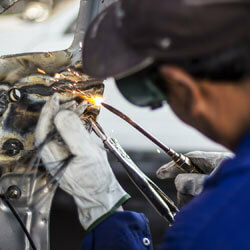 We offer several different automotive services. For specifics, please read through the content below, and contact us or stop in if you’re in need of any of these repairs. 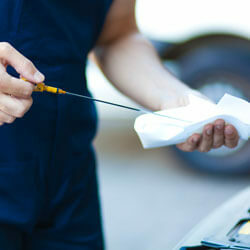 We will remove your old, dirty oil and replace it with fresh oil. As oil becomes old, it starts to breakdown and can’t lubricate your engine effectively. This can be very damaging to your vehicle if you wait too long, so please come in today so we can keep your vehicle running at 100 percent! We provide numerous general maintenance services. Our services include air conditioning service and repair, electrical system diagnosis and repair, brake repair, suspension and steering repair, shocks and struts, cooling system service and repair, exhaust systems and mufflers, custom exhaust, power steering repair, body and trim repairs, and more. Please contact us if you have any questions regarding what we can repair for you. 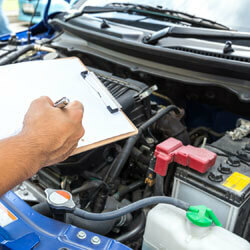 We will look at your car and assess why your engine light is on. We can quickly figure out what the problem is and get you an answer right away. With our experience, we will have no problem being able to do this quickly and efficiently, so don’t wait! 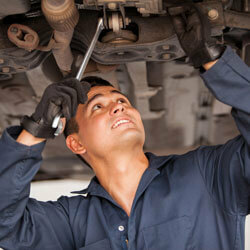 We will go through a detailed checklist to ensure that your vehicle is functioning properly. This inspection will include examining tires, breaks, interior, exterior, under the vehicle, and under the hood. Once we have thoroughly inspected your vehicle, we will provide you with the multi point report so that you know the exact condition that all parts of your car are in.